On several occasions, we have talked about the enormous amount of plastic that litters the world’s oceans. Bits of bottles, bags, toys, fishing nets and other objects collect in gyres, or so-called garbage patches, which have grown and grown over the decades. A new study, published in Science Advances, shows that a major ocean current is carrying bits of plastic, mostly from the North Atlantic, to the Greenland and Berents seas. 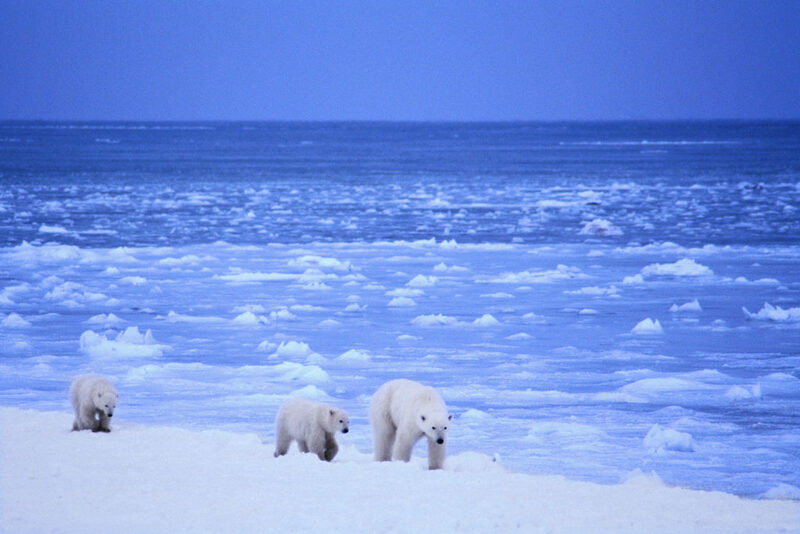 The plastic bits are deposited in the Arctic in surface waters, in sea ice, and possibly on the ocean floor. Climate change has been shrinking the Arctic sea ice cover, leading to increased human activity and much easier navigation in this previously isolated part of the world. As a result, plastic pollution is likely to spread more widely in the Arctic over the decades to come. The Arctic waters are important for thermohaline circulation, which is a deepwater global current that plays a critical role in the world’s weather. As that current brings warm water up to the Arctic, it seems to be bringing with it plastic waste from more populated coastlines. Exactly what impact plastic pollution will have on the Arctic ecosystem is unknown. Scientists do anticipate that the effects on this delicate ecosystem – unlike any other on Earth – are likely to be very significant. Every year, about 8 million tons of plastic gets into the ocean. There may be as much as 110 million tons in total at this point. All the environmental effects of plastic pollution are unknown, but it has already made its way into the food chain. The ultimate results may not be known, but they are not likely to be good. Photo, posted December 13,2012, courtesy of Flickr. ‘Plastic in the Arctic’ from Earth Wise is a production of WAMC Northeast Public Radio.